So unless you've been MIA on all of my social media networks, you've probably seen by now that I am engaged! So today I'm going to show you the makeup that I rocked for my surprise engagement shoot. I didn't realize that pictures in the park would lead to a surprise proposal, but boy am I glad I decided to spend some time on my makeup, lol. Check it out! I knew that we were taking pictures outside, so I wanted to go for a light, fresh look. 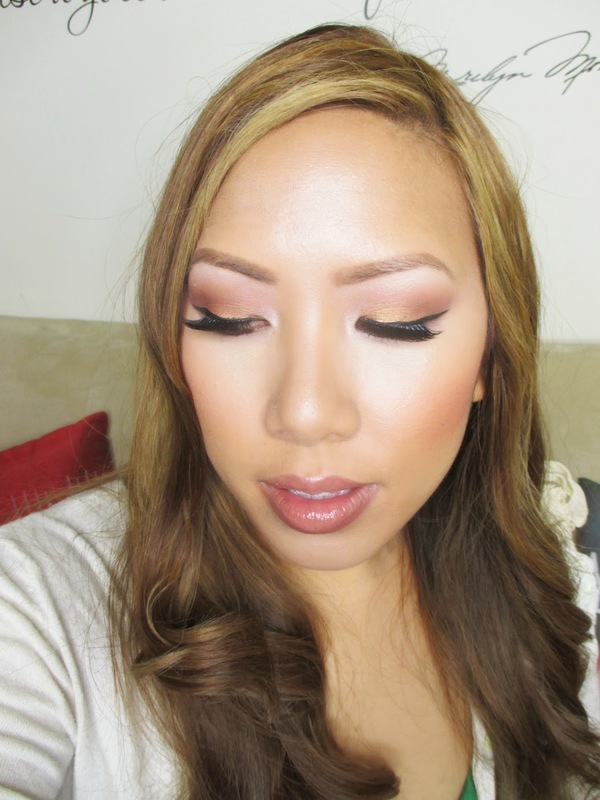 I used mainly copper and pink tones to complement my skin tone and give a feminine feel to the look. On the eyes I wore Makeup Geek eyeshadows. For my lashes, I'm rocking Lady Mossy Koko lashes in Bella. 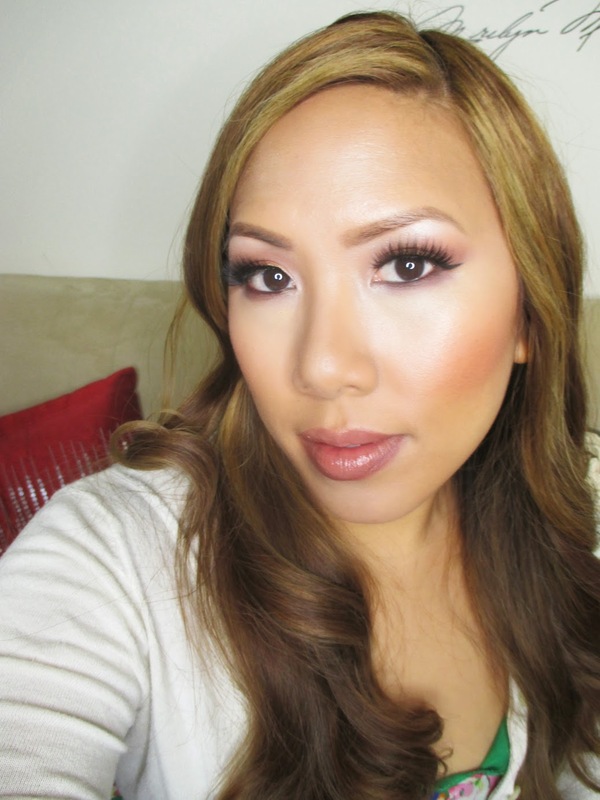 I wanted my skin to be flawless so I turned to my Glam Foundation Routine from CoverFX. Check out my tutorial here. I used the Total Cover Cream Foundation with a Kabuki Brush to create an airbrushed finish. Then I contoured with a darker shade of the foundation and used the Cream Concealer in Light to Highlight. I set with my Illuminating Setting Powder on my highlighted areas and then used the Medium Blotting Powder to powder everything down so I wouldn't be shiny for the camera. I finished it off with Nars Taj Mahal blush and my CoverFX Sunlight Illuminator for a bit of glow right on my cheekbones. On my lips I used my MAC Iman Lip Pencil in Bronze and applied a random gloss on top to get this very pretty my lips but better look. And here are some of the shots before hand! I love this silly candid shot, and you can see my makeup pretty well! This is what we call "The Money Shot". This was the last picture of the staged shoot, and I didn't even realize that my friends and family were holding the banner behind me. This was right before the proposal, aww! I hope you guys enjoyed my engagement makeup and a peak into my personal life. I can't wait to start talking wedding makeup with you...stay tuned! Major congrats on your engagement! I am so happy for you girl. You deserve nothing but the best. Congratulations!!! New Products from Z Palette!